1. How do you clean roofs and gutters? I blow the loose debris from the roof with a commercial grade backpack blower. If there are clumps of moss more than half an inch above the shingle, then I use a tool to agitate the moss, and then use the blower again. Next, I clear all the debris from the gutters and downspouts. The last step is to treat the roof with zinc sulfate to kill any remaining moss. It takes about one month for the moss to change color and die. I guarantee that all the moss will change color and die or I will come back and reapply more zinc sulfate. The wind and rain generally weather away a significant portion of the remaining dead moss. This process is widely accepted by my 5,000+ customers. Many realtors arrange for me to prepare their clients’ homes before sale or to satisfy an inspector’s request using this same process. 2. Am I liable if someone falls and gets hurt while working at my house? No. Superior Window and Gutter Cleaning carries a $1,000,000 General Liability Insurance Policy through Farmer’s Insurance. This not only protects Superior Window and Gutter Cleaning, it also protects you, the homeowner. If you hire a company that does not have the proper insurance, you could be held liable if an accident were to happen on your property. My policy is the same type as roofing and covers being on ladders and roofs several stories high. If you have any questions please use our feedback form and we will get in touch with you shortly. 3. What do you think of gutter protection systems? I clean lots of gutters with gutter protection systems built into them. 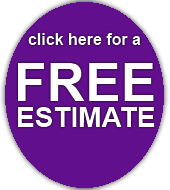 Many companies sell products that they promise will eliminate gutter cleaning. I don’t believe any of them. The best products help reduce maintenance. All gutter products require some level of maintenance. Many of these products are sold at a premium price. I hear from many customers who thought they would never have to clean their gutters again. When their gutters start running over they call the vender they purchased from and find out that the contract they signed requires them to keep the “gutter protection” clean, but they don’t need to clean their gutters. I service all brands of gutter protection. 4. Do you recommend a gutter protection system? 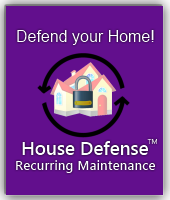 Most homes are better served by a routine maintenance schedule. If your gutters are getting clogged regularly then there is probably debris landing on your roof also. Superior Window and Gutter Cleaning can put you on our recurring maintenance schedule and take better care of your roof and gutters for a modest fee and you can avoid the up front investment of thousands of dollars. 5. Do you pressure wash roofs? No, I advise my clients against pressure washing roofs. Pressure washing often damages roofs and reduces the life of the roof because it washes off a layer of the roof. I have pressure washers and use them for cleaning concrete and rinsing siding, driveways, walkways, and decks. 6. Why should I have my gutters cleaned? Gutters need to be cleaned regularly in order to prevent the debris from blocking the flow of water. Clogged gutters are often the cause of water damage that can run up high repair bills or remain unnoticed until an inspector finds the damage and adds a complication to the sale of your home. 7. Can you keep the birds from nesting in the vent holes under my eaves? Yes. Starlings are notorious for getting through the screen that your builder installed to keep birds out of your vent holes. I cut one quarter inch galvanized steel mesh into strips and staple it to the outside of your vent holes. I have never had any birds able to get through this heavier material. 8. Will it harm my roof if someone walks on it? Some roofing materials are more fragile than others, and I am very familiar with the different types of material and proper methods for walking on them. The real answer to this is that allowing debris and moss to accumulate on your roof does much more damage than carefully walking on the roof to maintain it. I will carefully access your roof and determine if it is able to sustain my walking on it. 9. How do you keep from falling off the roof? I use high quality ladders with leg levelers and stabilizer bars and Korkers® brand safety sandals for traction on slippery roofs. I use a body harness and special ropes to tie myself off. I look for the safest way to accomplish a job. I will walk away from work if I cannot figure out a safe way to get the work done. 10. Will it ruin my paint if you pressure wash the siding on my house? When I rinse the siding on a house with a pressure washer, I use an extended wand with a wide angle nozzle (40 degrees) and I hold the wand back from the house a substantial distance (12 – 24 inches). If there is algae and mildew on the siding I may apply 30 Seconds® (bleach & TSP) to the siding and let it sit for a few minutes before I rinse it off. This process is as gentle as possible and still able to get the dirt and grime off your siding. The older the paint, the more likely there will be some areas that loosen a bit of paint. I monitor this and will seek your guidance as to whether I try to completely avoid any paint coming off, or if you are planning on touching up the paint and want me to get the surface as clean as possible. If you have other questions, please use the feedback form. Thank you!